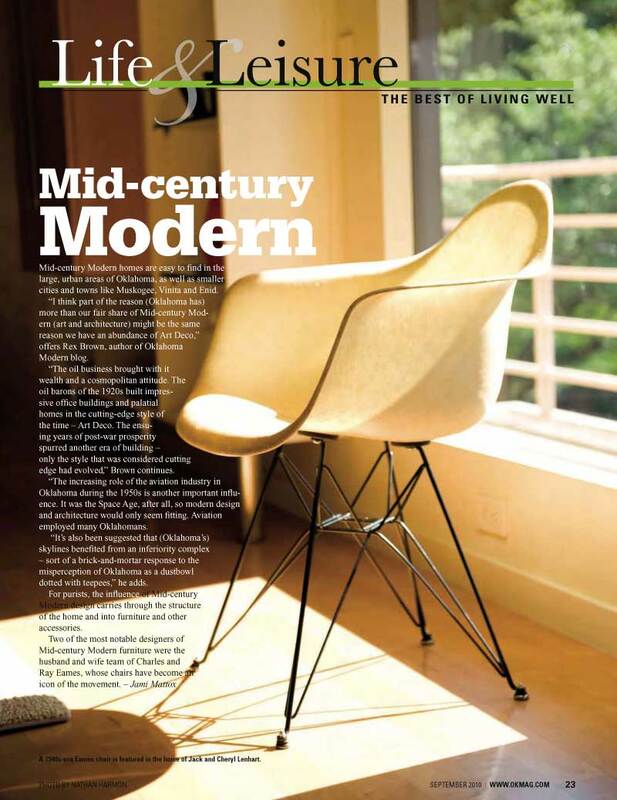 The September issue of Oklahoma Magazine features a section on Mid-Century Modern. They asked me to comment on why Oklahoma seems to have more than its fair share of Midmod. The layout featured an excellent photo of a vintage Eames shell chair. From the September 2010 issue of Oklahoma Magazine. cities and towns like Muskogee, Vinita and Enid. edge had evolved,” Brown continues. Oklahoma during the 1950s is another important infl uence. dotted with teepees,” he adds.